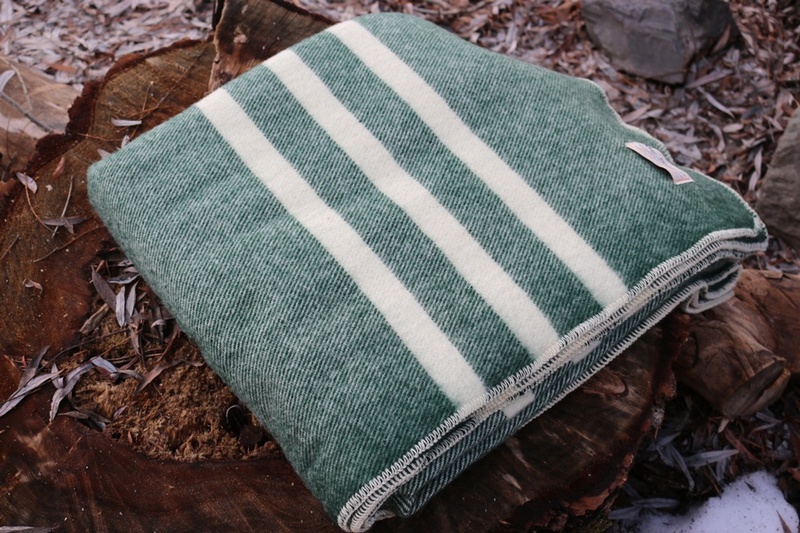 Made in Canada from Canadian Virgin Wool, these are probably the best Wool blankets available! Beautifully woven from the best quality Wool, these are heirloom pieces that will give years of service. The makers have been in business for almost 150yrs and combine their great experience with Local resources to make an outstanding product. It begins with a washing of the raw wool, which is subsequently dried and picked to remove grit and open up fibers. The cleaned wool is then carded (combed) and spun into thread. The thread is warped (woven over a loom), fulled (preshrunk), washed once again and dyed. Finally, the woven wool is dried, "napped" or brushed to make it fluffy and warm, cut into blankets, hemmed and folded. 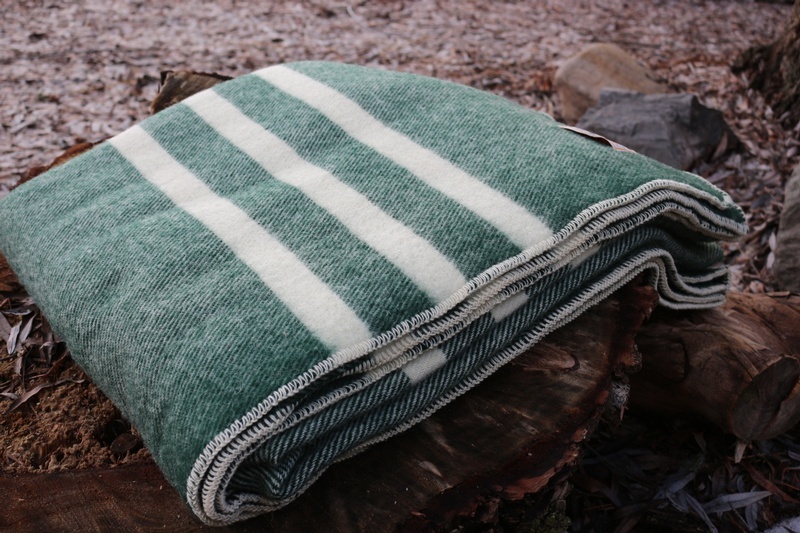 Purchase through PayPal by using the "Add To Cart" button above or use the form below to order the Canadian 100% Virgin Wool Blanket Green . 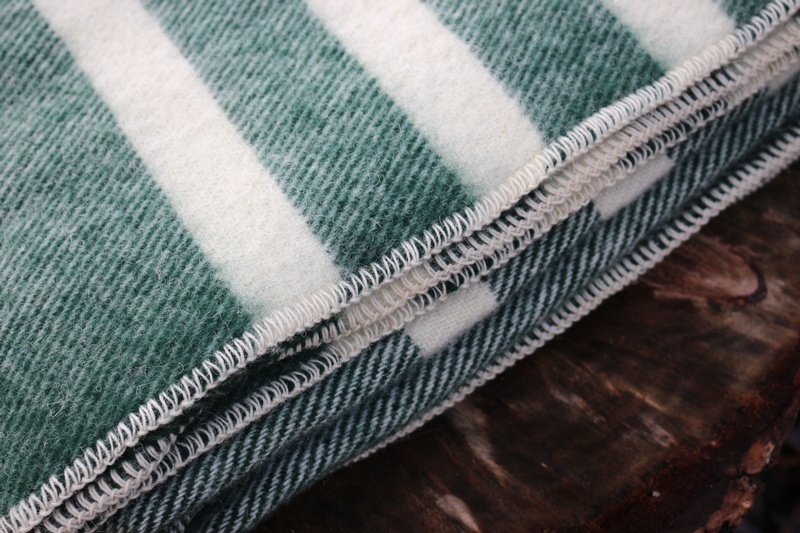 Feel free to contact us if you have any questions about the Canadian 100% Virgin Wool Blanket Green .